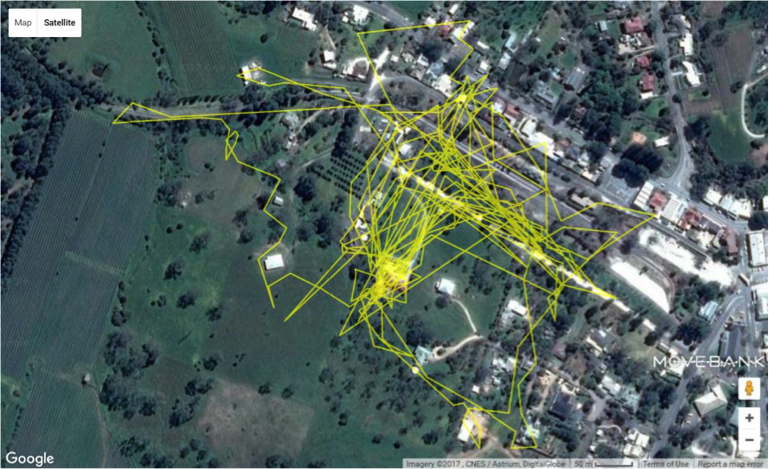 Some of you may have heard about the innovative ‘Cat Tracker’ project run by the University of South Australia. The project tracks the movement of pet cats and interviews their owners in order to learn about the roaming behaviours of pet cats and to help cat owners make decisions about their care and welfare. Cat with GPS tracker on a harness. Photo courtesy of University of South Australia. 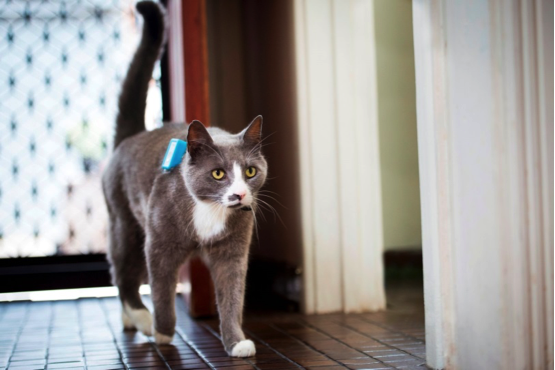 A light weight GPS tracker (like the one in the photo) is placed on a cat’s collar or harness and their movement over a 24 hour period is recorded. The information is downloaded and displayed on a map - to show you exactly where your cat roams! This enables you to check on your cat’s safety e.g. is it spending time near roads; identify its favourite sleeping, hiding and roaming places; and find out if it is entering other people’s homes to be fed! Kids also love to learn where their furry-friends like to spend time. Of the 428 cats that were tracked for at least five days, the area they roamed, ranged from about 0.1 to 31 hectares, with a median of 1 hectare (approximately 10 average 1/4 acre residential blocks). Male cats and non-desexed cats roamed the furthest, and 88% of the cats tracked had larger home-ranges at night. They compared sedentary cats (roamed < than 1 hectare) and wandering cats (roamed > than 1 hectare). Wandering cats crossed more roads each day, showed more signs of being in fights and were more often seen with prey. Wandering cats were also typically younger and had less stimulation (e.g. toys, scratching posts, opportunity for play) provided by their owners. 177 cats that were described by their owners as being kept inside overnight were tracked, and it was found that 39% of them roamed over 1 hectare at night. Most respondents reported that cats roam in their neighbourhoods and 40% thought that these cats were a nuisance. The major concern was fighting with, or scaring their pets. The study compared the personalities of indoor and outdoor cats and found their personalities to be very similar, suggesting that there is no negative impact on a cat’s personality when it is kept indoors. The report gives interesting advice about cats with different personalities, for example, a ‘skittish’ cat may benefit from having hiding spots at home or an ‘outgoing’ cat (curious and active) may benefit from additional toys and play time.